Welcome to Katfrog's Corner: AI Weapons? Just Say "No"
AI Weapons? Just Say "No"
On July 28th, the Future of Life Institute (FLI) announced an open letter asking the nations of the world to sign "a ban on offensive autonomous weapons beyond meaningful human control." So far, over 18,000 people have signed this letter, including Stephen Hawking, Elon Musk, Steve Wozniak, over 2,700 AI researchers, Noah Chomsky, and me. The problem... let me take a step back. The letter addresses the problem of weapons that need either no or minimal human intervention for the weapon to work. Scientist don't really care of a gun can hold a riddle contest with Bilbo or quote Dylan Thomas, but they do care if a weapons works mostly autonomously. With the prevalence of inexpensive computer parts, once we have sophisticated enough AI it would be easy for an AI arms race to begin. Unlike nuclear weapons, which require rare materials to build, AI weapons will be an order of magnitude easier to build and use. That brings me back to the problem - we've had autonomous weapons since the 13th century. 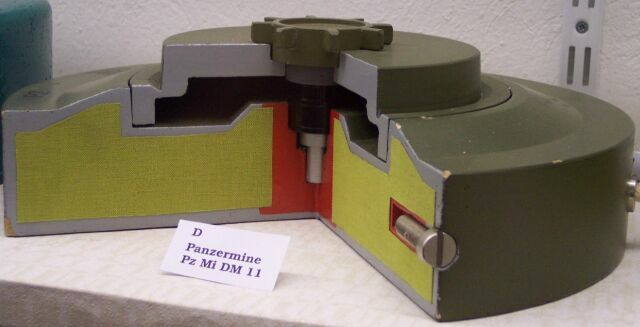 Land mines are the analog version of autonomous weapons, first recorded in 1277 A.D. in China. These weapons are autonomous in that they don't need someone to pull the trigger, figuratively speaking. Of course, land mines also introduce problems after a war. The world currently has several areas of land that we cannot inhabit or use due to unexploded land mines. "BrahMos1" by DRDO India - DRDO India. The concept behind cruise missiles, a flying torpedo, began a century long race from 1909 to today to create such a unique weapon. Both side in World War II attempted to create such missiles, but it wasn't until the Cold War that the technology became a reality. 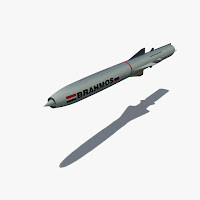 Modern cruise missile navigate using satellite guidance, terrain contour maps, digital strip maps, and GPS, then acquire the appropriate target using automatic target recognition algorithms. While people still need to launch these missiles, once launched a modern cruise missile takes care of the mission by itself. The AGM-88 high-speed anti-radiation missile (HARM) uses special equipment to search and destroy radar installations. 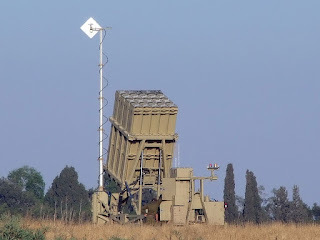 The U.S. funded the Iron Dome, a mobile all-weather air defense system created by Rafael Advanced Defense Systems and Israel Aircraft Industries. The Iron Dome tracks missile and artillery launches, determines the target, and shoots down anything headed for protected areas. It's important to remember that artillery or missiles headed to open ground are not stopped; this saves on ammunition. Considering it costs $70,000 to $100,000 per interceptor, it's important not to waste even one. 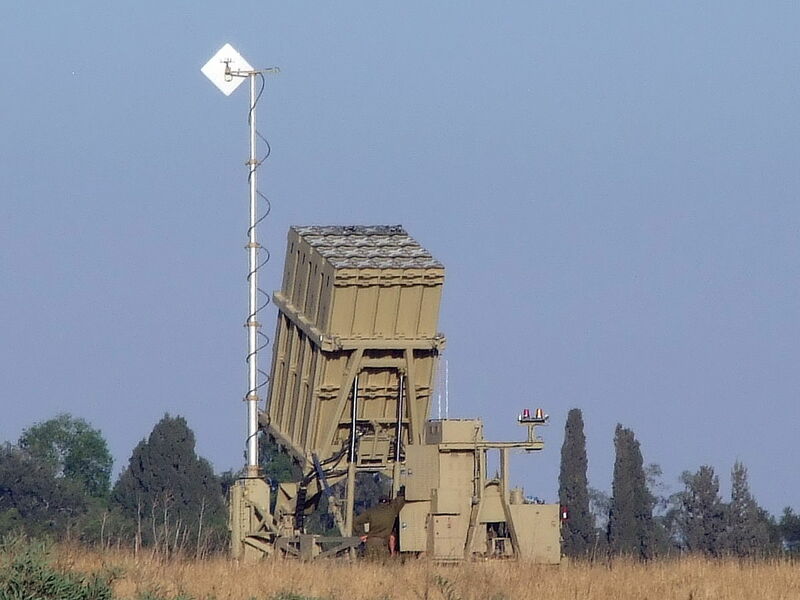 So far, the Iron Dome has shown 84% to 90% accuracy. needs to load the bullets and turn the machine on, and stand back. 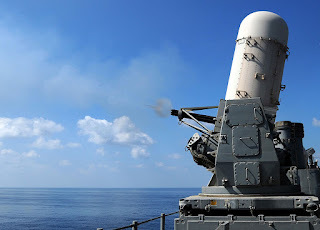 Aegis scans the skies and the waves, determines who is a friend or a foe using IFF, assigns a specific gun to the target, and fires if necessary. In 2004 and 2005, Team Terramax entered the DARPA Grand Challenge to create self-driving vehicles. 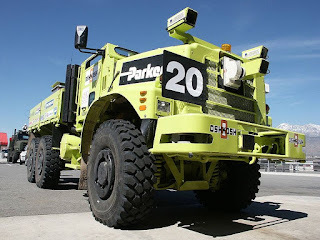 The result of this effort is the creation of unmanned vehicles that the military uses for logistics operations, route clearance, and explosion ordinance disposal. South Korea uses robotic sentries built by Samsung (yes, that Samsung) to guard its side of the demilitarized zone. The Samsung SGR-A1 has twin optical and infrared sensor with the ability to identify targets within 4 km during the day and 2 km at night. Purportedly, the robot sentry distinguishes humans from wildlife and objects in the terrain, has a microphone and speakers to exchange passwords with friendlies, and the ability to ask a man to put his hands up. So far, South Korea hasn't used these sentries in automatic mode due to concerns about programming mistakes (a PC way to say they're worried it will shoot someone whose friendly), but the automatic mode is already built in. My list is not comprehensive. Both the U.S. and the U,K. have unmanned planes that can take off, fly, refuel in midair, find targets, and land with no human interference. But this is only the devices that have been made known to the public. Do you really think the military doesn't have some AI weapon we've never seen? I don't. I believe the military only tells us about weapons when it has no choice. So while I agree with the open letter, I think it might be a little late. I just hope we avoid an AI arms race, because that will not end well for anyone.